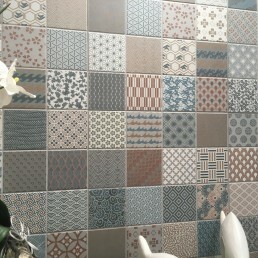 Patchwork Effect Tile - Kimono - Textured Porcelain - Nick Firth Tiles Ltd.
A Decorative Porcelain patchwork tile, that is very versatile. Displaying over a hundred different geometric designs. 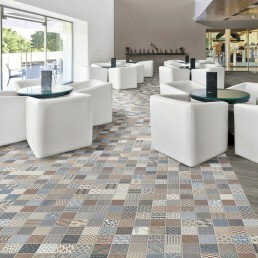 Mixed differently on each tile creates a random patchwork effect. This look is always popular with designers and with the high anti-slip rating you can now create this effect on both wall and floors. 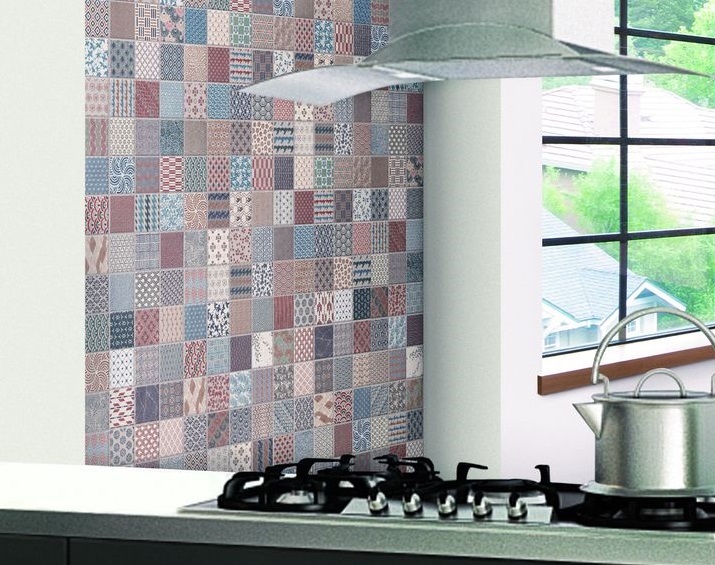 Kimono wall and floor decorative tile, that has a quirky patchwork style. Supplying any given space an unorthodox character. Kimono is a high sort after tile. 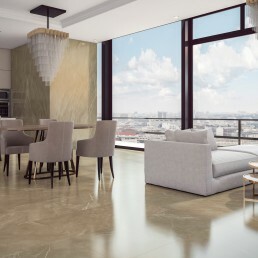 This tile has a light dusting of glitter that sparkles when caught by light, creating a pleasant finish. ; from geometric displays, dragon fly’s through to floral patterns. 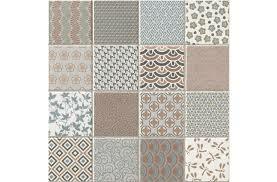 Kimono can be partnered with various other tiles. They are suitable for both walls and floors and have a matt textured finish. 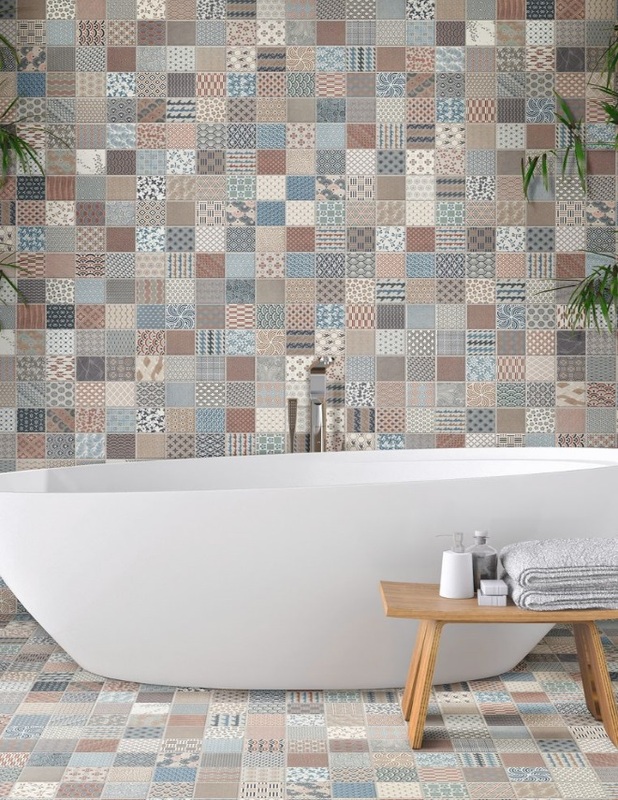 Patchwork effect tiles are becoming ever more popular, as a residential or commercial feature floor tile, as splashback or maybe a feature piece. 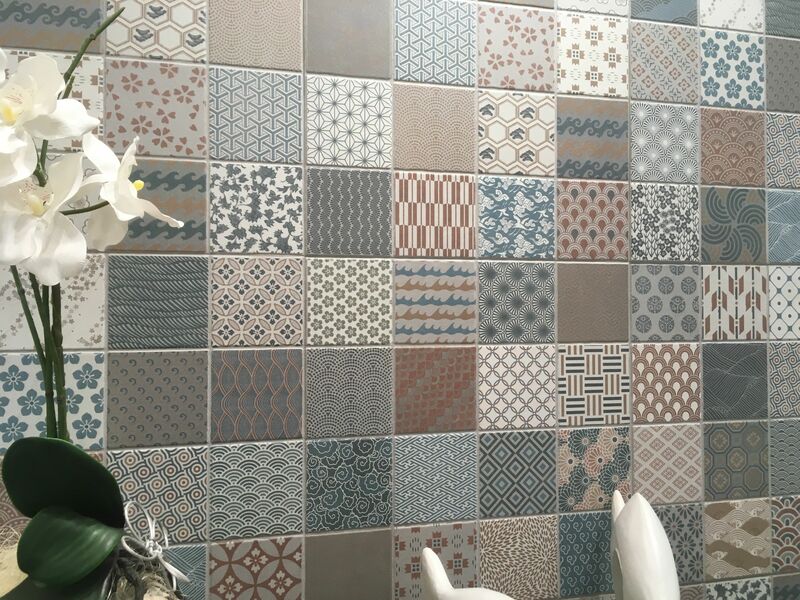 These 442×442 mm tiles are made up of 16 number, 100x100mm individual tiles. Each 442×442 tile has 16 different unique designs with hues of Burnt orange, terracotta, turquoise, green and aqua blue. 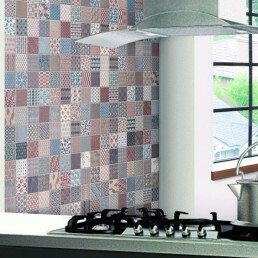 Kimono patchwork tile is a pressed tile with a grout effect between each 100x100mm tile. 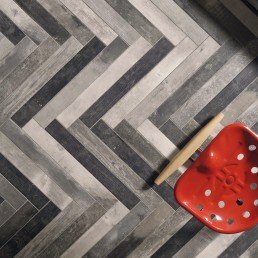 So, you don’t need to grout between the faux mosaic pieces. Kimono patchwork tile is only available in the one size, one tile displays 16 individual random patterns. 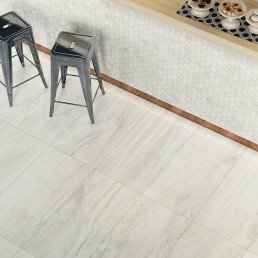 A very unique and versatile porcelain tile collection. 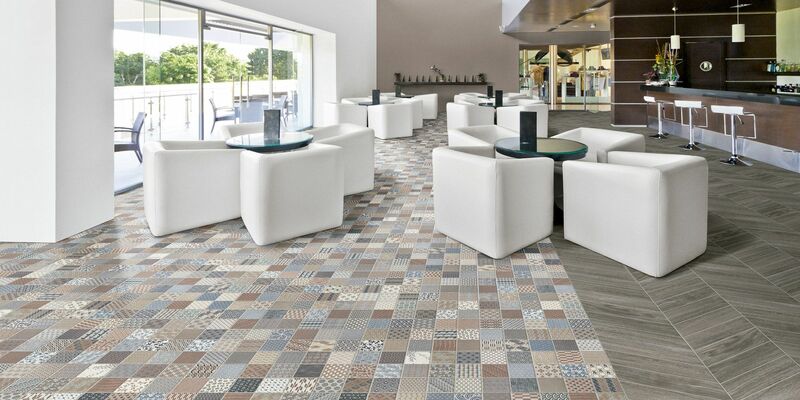 A statement piece patchwork tile. One box has over one hundred arabesque patterns. Kimono can be incorporated into numerous designs, commercial and residential.